Confessions and obsessions of a British lit fanatic. My first post in this blogging experience is simple: revisiting one of the first posts I ever did as a blogger and fanatic seven years ago. Simple as it may seem, ranking the Jane Eyre adaptations anew is exciting! It's an opportunity to map how my tastes have changed over the years. I also know now that ranking Jane Eyre interpretations definitively is impossible. Every true lit lover, and every Jane Eyre fanatic in particular, knows that 'tastes differ.' There is no 'complete' or 'perfect' adaptation of such a multifaceted book, and so one may be the frontrunner one week while another may speak to another aspect of the novel the next. Yet, we all have that "one" that we hold dearest. I'll try not to let it influence my rankings. The Good: There's nothing "good" about this adaptation, only things that maybe aren't so bad. Perhaps it's nice that we see Rochester is clearly in love with Jane from the beginning? The Bad: Not even time can change the 1934's position as the worst adaptation. Nothing about it is good, even considering the time period. There's no faithfulness to Brontë's characters, the dialogue, or the plot. The script is the main culprit here, butchering everything that makes Jane Eyre the novel it is and leaving nothing for the actors to deliver. Rochester is a kind and caring uncle to Adele and an attentive suitor to Jane with no real character hitches, and Jane is about as unremarkable as it gets. I wouldn't even recommend watching this film except to give yourself a good laugh. The Good: The highpoint of this otherwise horrible adaptation are the final minutes of the last scene. The reworking of Jane's "I will be your neighbor, your nurse, your companion" line maybe a little cute. The Bad: I always had a theory that adaptations generally get better across time. This one proved me wrong. I was surprised by how entirely unfaithful this adaptation was to the source material. The major points of departure: Jane and Rochester never get to the altar, they're simply interrupted by Mason during the proposal (huh? ), Rochester's intentions toward Jane appear unsavory and predatory (there's an awkward scene of him coming onto Jane while he's drunk), and Jane is overly empathetic and a hopeless romantic, almost infantilizing Rochester as a tortured soul. This adaptation seems like a satirical interpretation of Jane Eyre by someone who didn't enjoy the novel. The Good: This version really only gets bumped up from being second worst because the 1957 was so disappointing. While this studio set TV version isn't good or faithful by any stretch of the imagination, the characters are at least portrayed somewhat more accurately. Charlton Heston in particular does a credible job of delivering his lines and showing Mr. Rochester's enigmatical nature in a short amount of time. The adaptation also gives more attention to the role of class in interactions between characters, with Rochester characterized as more of an authority figure (as opposed to a friend like in the 1934 version) and Jane being particularly aware of her status as a governess. Rochester wants to break those boundaries, while Mary Sinclair's Jane cautiously reminds him of their existence. The Bad: The above being said, Mary Sinclair's Jane is too reserved and mild-mannered. The writing does little to help this portrayal. Whereas the Jane of the novel is blunt, even "brusque," Sinclair's Jane never volunteers her opinion unless strong-armed by Rochester. Instead of declaring her equality and independence in the proposal scene, Jane cries, "Oh, do not make sport of me!" and observes, "I am only Jane Eyre." Like most pre-60s adaptations (the '34, '43, '52, and '57), this version departs significantly from the novel in that it does not include Jane's relationship with the Rivers family or the proposal from St. John Rivers. In fact, most those adaptations fail to include St. John at all. The 1949 may be a slight improvement on the '57 and '34, but it doesn't follow that the adaptation is a good one. The Good: This is another truncated TV studio tape that omits Jane's childhood and her time with the Rivers family. However, I was pleasantly surprised by how heavily the adaptation pulled dialogue directly from the book. 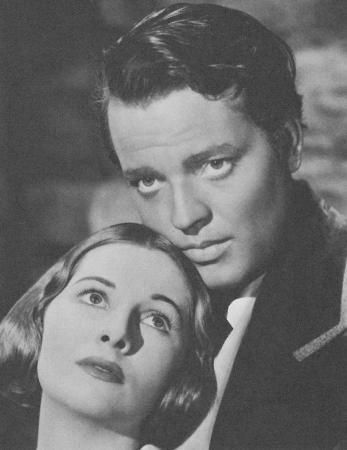 This adaptation improved on the 1949 version, adding more interaction between Jane and Rochester and taking more language directly from the novel. Katharine Bard was also the first actress to capture Jane's independent spirit, doing better than even some film actresses in declaring herself Rochester's equal. The Bad: I'm not a fan of Kevin McCarthy's take on Rochester, preferring Charlton Heston as far as pre-60s TV adaptations go. McCarthy dials back on Rochester's mercurial personality, playing him like a middle-class TV sitcom dad. The script's credible faithfulness to the dialogue between Jane and Rochester was overshadowed by McCarthy's unfaithful delivery and his poor chemistry with Bard. This adaptation's crowning achievement is managing to be just slightly better and more faithful than its early TV counterparts. The next tier of adaptations are the most difficult to rank and the most likely to shift depending on my mood and preferences at the moment. They share some common characteristics: varying degrees of faithfulness and questionable performances by the leads. The Good: I appreciate that this version captures the difference in age between Jane and Rochester. Samantha Morton looks like Jane with her young appearance and plain but piercing face. The accurate age difference highlights the strange dynamic between the characters in the novel. Rochester is Jane's social and experiential superior, and yet he still relies on her and respects her as an advisor and equal despite her age and position. The best scene in this adaptation the conversation following Mason's injury and the reunion scene when Hinds turns on the waterworks and wishes he could see Jane's face. The Good: In an otherwise middling adaptation, the major achievement of this TV film was a touching departure scene. One of the ways I measure chemistry between actors playing Jane and Rochester is by using Rochester's own analogy of the string that binds he and Jane together. The best feeling is being able to trace that invisible string in how the actors respond to each other and move together as Jane and Rochester. In this adaptation, Scott's urgent, "Jane, wait!" gives me that feeling. The score by John Williams also boosts the intensity. The Bad: Overall, this adaptation is unspectacular and only mildly faithful. York is too old to accurately portray Jane's inexperience. Scott's take on Rochester doesn't reveal anything new or particularly engaging about the character, rarely making the audience believe that he is Rochester. Jane Eyre 1970 may be touching at points, but it isn't especially remarkable overall. The Good: Charlotte Gainsbourg is another actress who matches Jane aesthetically, albeit in a different way from Samantha Morton. Gainsbourg is young and doe-like, but she wears the calm and collected mask of someone who has learned how to toughen up and make it alone. Across from her, Hurt delivers a melancholy and tender performance as Rochester. Together, the pair emphasizes Jane and Rochester's loneliness. This adaptation reminds us that Jane and Rochester are outcasts and exiles who find kinship and connection in each other. The Bad: The subdued take on Jane and Rochester is 1996's greatest strength and its worst weakness. Gainsbourg lacks the depth and experience to give the viewer a glimpse of the deep well of emotion beneath Jane's cool exterior. Hurt's performance straddles the line between melancholy and sleepy. The movie also rushes through the more intense moments, with the failed wedding, leaving scene, Jane's time with the Rivers family, and her return taking up less than forty-five minutes. This adaptation has some beautiful moments, but it's far from being the most faithful in either pacing or tone. The Good: Robert Stevenson's 1943 adaptation of Jane Eyre is one of the only versions to properly capture the novel's gothic elements. The cinematography, sets, and score all emphasize the darkness of Lowood, Thornfield, and its inhabitants. Orson Welles might be my favorite Rochester, fitting both my physical idea of the character and showing Rochester's commanding, enigmatical, and even charming and tender sides in equal measure. Welles is a masterful voice actor, knowing just what to do to shift the tone as needed by adjusting his volume, inflections, and other dynamics. The Bad: One of the great trivia facts about this adaptation is that Welles insisted on top billing over Joan Fontaine, who played the titular character. Welles deserves this not only because his performance is so strong, but also because Fontaine's is rather weak. The stunning, well-known actress struggles to play the 'poor, obscure, plain and little' Jane Eyre. In general, Fontaine is too serene. While the leaving scene might be Welles' most dynamic moment, Fontaine's Jane barely seems to respond. In addition to playing Rochester, Welles was heavily involved in the direction and production of the film, leaving his stylistic mark that would come to represent film noir genre. This version is definitely worth a watch for cinema buffs and anyone interested in early film noir, but it doesn't do the best job of adapting the protagonist to the screen. The following are the top tier of Jane Eyre Adaptations. The Good: Despite the claims to the contrary by 1983 diehards, the 1973 Jane Eyre miniseries is the most faithful adaptation of the novel, neither adding or subtracting any details. While Orson Welles may be my personal favorite Rochester, Michael Jayston might be the actor that portrays the character most accurately. Jayston may not fit the bill physically, but few can match that simultaneously mercurial and infatuated smile Jayston's Rochester reserves only for Jane. Like her counterpart, Cusack is far from the most accurate physical representation of Jane, but she plays her character well, and her chemistry with Jayston is undeniable. Cusack and Jayston are at their best in all of the pre-proposal conversation scenes, performing perfectly the period in which Jane and Rochester are cautiously probing and testing the other, as well as the the couple's transition into an intimate and even flirtatious friendship/situationship. Cusack and Jayston's Jane and Rochester both comfort and challenge the other; they are clearly at ease around each other, and yet each is perplexed by their inability to decipher the other's true feelings. In my opinion, no other Jane/Rochester pairing tops those moments. The Bad: While the pre-proposal scenes are nearly perfect, Cusack and Jayston leave a bit to be desired in the proposal and departure scenes. Cusack and Jayston are at their best in portraying the informal, everyday interactions between Jane and Rochester, but they aren't as strong during the story's climaxes. This adaptation can also be a little too sedate, lacking the gothic elements and production values that might have placed it first. Unlike many, I appreciate Cusack's voiceovers as a window into Jane's thoughts and internal dialogue, but object to how they are performed--quaintly and lacking the feeling that would animate Jane's stream of consciousness. The Good: Ruth Wilson is a nearly perfect casting and delivery, and the chemistry between her and Toby Stephens is something special. The great matching of Wilson's Jane and Stephens' Rochester is evident to anyone who watches the miniseries, but an underrated aspect of Jane Eyre 2006 is Ruth's chemistry with all the secondary characters as well, particularly Tom Buchan's St. John Rivers. This is perhaps the only adaptation where St. John is (1) humanized and (2) a credible rival to Rochester. While it's clear that Wilson's Jane doesn't have romantic feelings for Rivers, they have a different kind of chemistry: the chemistry of close friends and cousins who could conceivably build a successful and rather happy marriage. Jane considers this closely in the novel, almost agreeing to marry St. John, and yet almost none of the adaptations treat this like a serious possibility. St. John proposes, but the audience never feels for a moment that a marriage to St. John would be acceptable or even logical. In the 2006, we finally get to see a well-developed relationship between the two. The Bad: This is perhaps the most controversial adaptation, with a large community of critics alongside its devoted fandom. This is another case of an adaptation's strength doubling as its weakness. Jane Eyre 2006 attempts to capture the emotional core of the novel while translating the dialogue and characters to a younger audience. But the same modernization that makes the romantic chemistry between Jane and Rochester so palpable also prevents the actors from fully and faithfully inhabiting their characters. Stephens in particular fails to convince me that he is Rochester. I have had to learn not to conflate my love of looking at Toby Stephens and the (sexual) romanticism of the adaptation with an accurate representation of the characters and the relationship between Jane and Rochester. Wilson and Stephens work well together, and they offer a new and refreshing take on Jane and Rochester that looks like a relatable, twenty-first century relationship in period trappings. For fans, this is what places Jane Eyre 2006 near front of the pack. For Jane Eyre puritans, it also prevents the adaptation from claiming the top spot. The Good: This is a faithful, well cast, and well acted adaptation that balances faithfulness with a little added sexiness (mostly courtesy of Timothy Dalton). The small and plain, though too-old, Zelah Clarke portrays both Jane's maturity and her girlishness and inexperience. Across her, Dalton shows all the facets of Rochester, being sardonic and self-important, moody and sentimental, fiery and passionate. 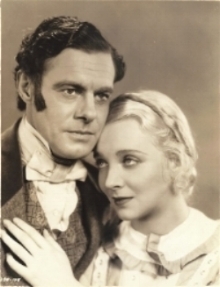 Though the age disparity between Jane and Rochester isn't portrayed, the performances and the size difference between the actors do enough to convince the audience of Rochester's "century's advance in experience." The 1983 is a daunting eleven episodes long, and yet Clarke, particularly with the help of Dalton, keeps the viewer engaged throughout. Like the 1973, the adaptation pays close attention to the early moments and slow-simmering relationship with Jane and Rochester. Yet, the 1983 does better at nailing the relationship's climaxes, producing positively heartrending proposal, leaving, and reunion scenes. The Bad: Because the adaptation is so faithful in general, the points at which it veers away from the source material are particularly perplexing (all the more because they seem so unnecessary). What was the purpose of beginning the proposal scene inside? Why write in a moment in the reunion scene where Rochester gets angry at Jane's perceived 'pity' and sends her away? Lastly, Clarke and Dalton are strong throughout, but subdued tone of the final scene, the second proposal, contrasts with the emotion and intensity that the pair built throughout the miniseries. The Good: The 2011 Jane Eyre shows how good performances combined with high production values can produce a great adaptation even under seemingly impossible time constraints. While it isn't perfect, I rank this adaption first because it does the best job of capturing the feeling and content of the book as a whole, including details like the novel's gothic elements, the age difference between the protagonists, and even the viewpoint of the story from Jane's perspective (without voiceovers, I might add). Aided by intentional and strategic writing, Mia Wasikowska is a great Jane. She embodies Rochester's description of her: "Your garb and manner were restricted by rule . . . yet when addressed, you lifted a keen, a daring, and a glowing eye to your interlocutor’s face: there was penetration and power in each glance you gave." Wasikowska's looks cut deep, and thanks to some spectacular writing her Jane has a natural talent for challenging Rochester through her ability to know exactly what to say at the right time without trying. Like his counterpart, Fassbender's Rochester gets help from good writing. While he isn't the best physical representation of the character, he summarizes Rochester well in the given time and showcases a beautiful relationship with Jane without overpowering her. The 2011 accurately captures Jane Eyre as Jane's story. When the camera isn't on her, it is viewing the world from her perspective or moving through her memories through the use of flashback. The Bad: Not enough time!! Had this film been a miniseries, it might have been the definitive adaptation. Alas, the actors and filmmakers were charged with the task of packing a 400+ page book into less than two hours. The inevitable consequence is the sacrifice of some important details and nuances, particularly Grace Poole's role in the story, the careful development of intimacy between Jane and Rochester, and Jane's complicated relationship with St. John. Jane Eyre 2011 isn't perfect by any means, nor is it necessarily my favorite adaptation, but it is the one I suggest to first-timers because it does the best job of using every tool at its disposal--casting, writing, visuals, and sound--to present a complex and multifaceted book to viewers. There is no perfect or even definitive Jane Eyre adaptation. Each brings something to the table that others do not, or fails to represent a facet or portion of the novel that others may highlight. I look forward to re-doing other rankings that allow me to focus on particular aspects of the adaptations, because to evaluate the adaptations as a whole in relationship to the complete novel is entirely too difficult.